On Tech Hub blog I demonstrated how to use sbt server from VS Code to display compiler errors from a running sbt session. In this post, I'll show how to do that for Sublime Text 3. 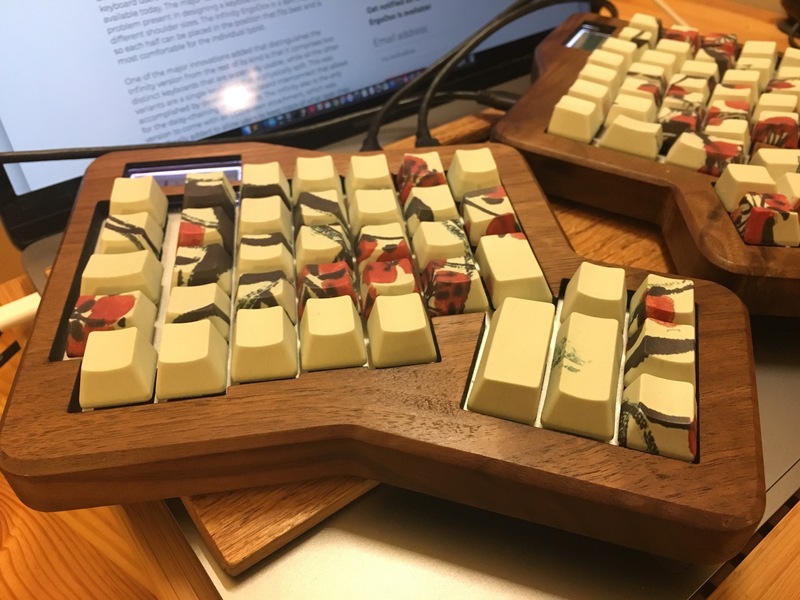 Over the weekend I assembled an Ergodox. Wrote sbt 1.1.0-RC1 with sbt server and slash syntax on Lightbend Tech Hub blog. It's been a month since sbt 1.0 shipped, and I can finally sit back and think about sbt server again. Using my weekends time, I started hacking on an implementation of Scala language server on top of sbt server. In this post, I'd like to introduce a version scheme that I call Persistent Versioning. Most of the ideas presented in this post are not new or my own. Let me know if there's already a name for it. Rename the Java package to include the version number. This immediately solves the API compatibility problem from transitive dependencies on multiple versions. Classes from each can be loaded on the same classpath without interacting negatively. Include the library name as part the group ID in the Maven coordinates. Rename the group ID in the Maven coordinates to include the version number. Individual group IDs prevent dependency resolution semantics to upgrade older versions to newer, incompatible ones. Each major version is resolved independently allowing transitive dependencies to be upgraded compatibly. In the tweet thread Jake cites RxJava's two GitHub issues Version 2.x Maven Central Identification ReactiveX/RxJava#3170 and 2.0 Package Name ReactiveX/RxJava#3173, both opened by Ben Christensen (@benjchristensen). Wrote sbt 1.0.0 is now available on Tech Hub blog. GitHub Pages is a convenient place to host OSS project docs. This post explains how to use Travis CI to deploy your docs automatically on a pull request merge. Make a directory outside of your project first. Pick a key name deploy_yourproject_rsa, so you can distinguish it from other keys. $ ssh-keygen -t rsa -b 4096 -C "yours@example.com"
Even if I can overcome the layout and memorize the various symbol locations, there's the issue of the placement. If I place the keyboard in between me and the laptop the screen becomes too far. 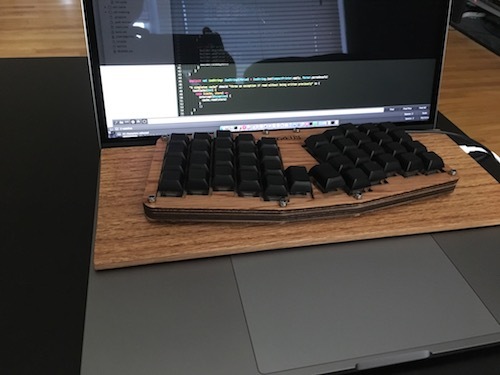 I solved this issue by making a tray for Atreus that I can position it on top of the MacBook Pro keyboard. Last night I finished making my Atreus keyboard from a DYI kit that I got a while back. I chose Matias Quiet Click switch option (gray slider). There's no clicking. The modifiers use Matias Quiet Linear switches (red slider). There are 42 keys in split ortholinear layout. Gigahorse 0.3.0 is now released. See documentation on what it is. 0.3.0 adds Square OkHttp support. Gigahorse-OkHttp is availble for Scala 2.10, 2.11, and 2.12. According to the JavaDoc you actually don't have to close the OkHttpClient instance.